The makers of the world’s most embarrassing ever pop albums now have some serious competition. 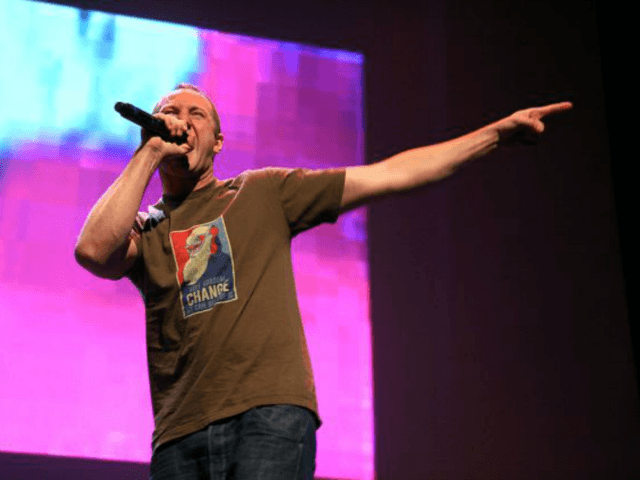 A Canadian rapper called Baba Brinkman is crowdfunding a “scientifically peer-reviewed” record on climate change with which he hopes to defeat sceptics through the medium of flow, rhyme and copious references to the Pope’s recent encyclical on the environment. The science is clear: continued “business as usual” greenhouse gas emissions will be catastrophic for human wellbeing, and yet the smokestacks keep on smoking. What’s going on? There are good solutions on the table, but scale-level action is perpetually stalled. In other words people need a wake up call, a mix of hard facts and perspective shifting to point us towards real solutions. This looks to me like a job for a scientifically peer-reviewed rap album. You can watch Baba Brinkman here performing his environmental rap (note vast crowds in the audience) at the COP21 climate summit in Paris. Perhaps you’d like to compare and contrast his performance with that of the Austrian rapper Kilez More, who thinks climate change is a crock. I think it sums up quite nicely the difference in calibre between sceptics and alarmists.